Thank you for your interest in our project! We are on a mission and building Ananda Loka is a labour of love. Your participation is welcome! If you are interested in experiencing 'Yoga Off Grid' from the ground up, we invite you to join us on the adventure. From construction and landscaping to cooking, preserving and childcare, your sweat and enthusiasm is appreciated! Our development season is from May to October. 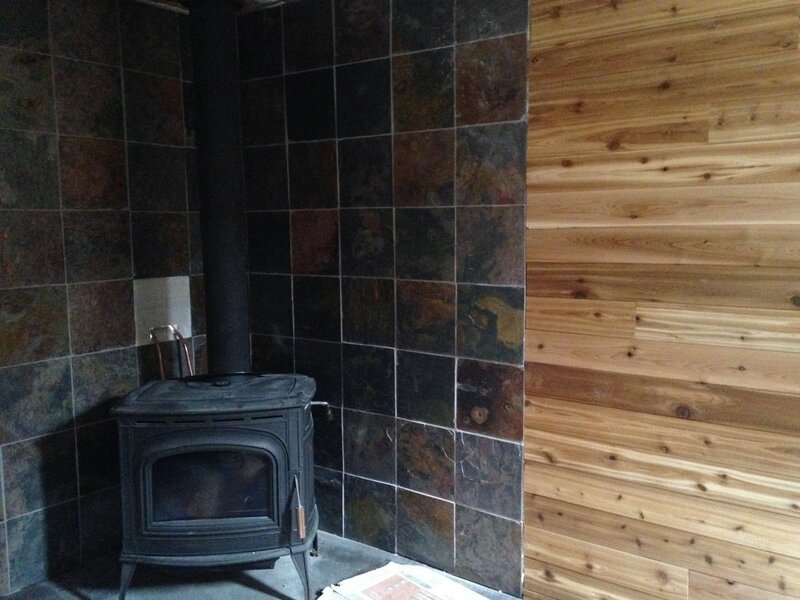 This summer 2018, we are building an outdoor cedar shower for guests. We will also build a greenhouse, begin developing the garden, continue with landscaping and healthy forest management. For more information about our "seva" program (work trade for accommodation and meals), click the button and contact us. September 2017-May 2018 - Phase III of House Building: installed appliances, installed custom railing and stained fir staircase, built 10x45ft deck/patio, began landscape design around house and finished hand-crafted kitchen cabinet doors/surrounds/trim (burned, brushed and oiled cedar). 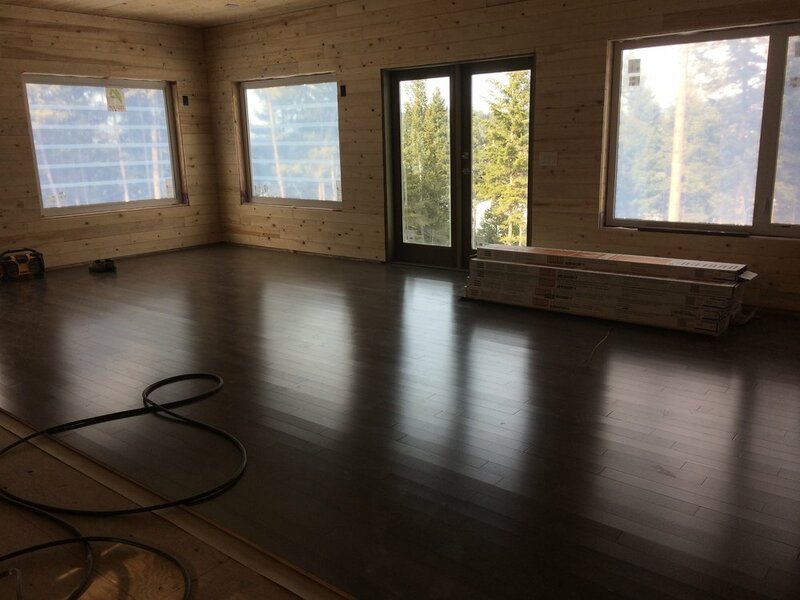 January-April 2017 - Phase II of House Building: local BC pine siding, maple flooring (main floor) and kitchen cabinets, installed electrical, venting, plumbing, insulation and wood stove tiling. May-October 2016 - Phase I of House Building (exterior): dug foundation, poured concrete foundation, framed building, external walls, roof, windows and doors, crafted and installed local BC cedar siding and gutters. December 2015 - Phase II of Solar System: Solar Grid. Our new solar system collects the sun's rays and stores the energy, while providing power throughout the entire property via underground wiring. 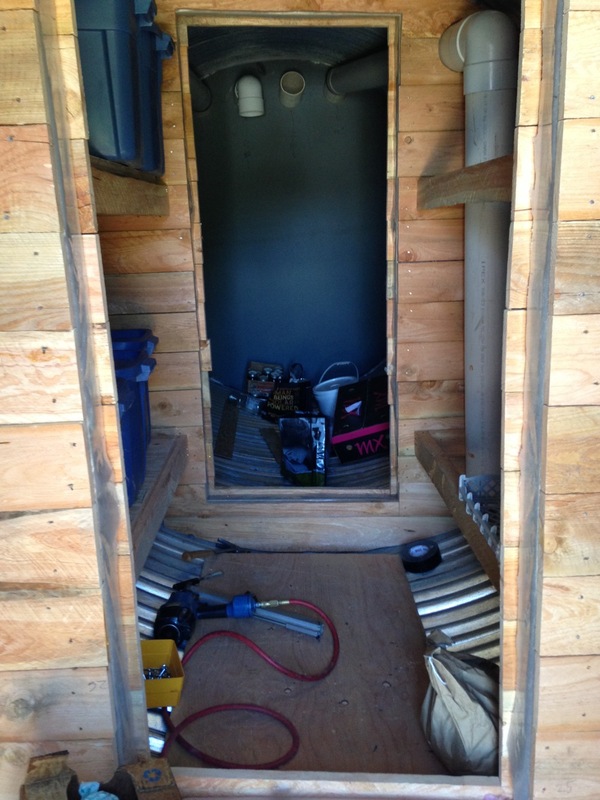 July-November 2015 - Woodworking Shop. Solar lighting, wood heat and generator on-demand machinery. Ananda Loka's largest building project to date, will be used to build all ashram amenities, custom furniture, altars and other art projects. July 2015 - Natural amphitheatre, overlooking Venables Lake. Seats up to 80 guests for kirtan, classes and performances. May 2015 - Build a playground volunteer/seva day at the local school. 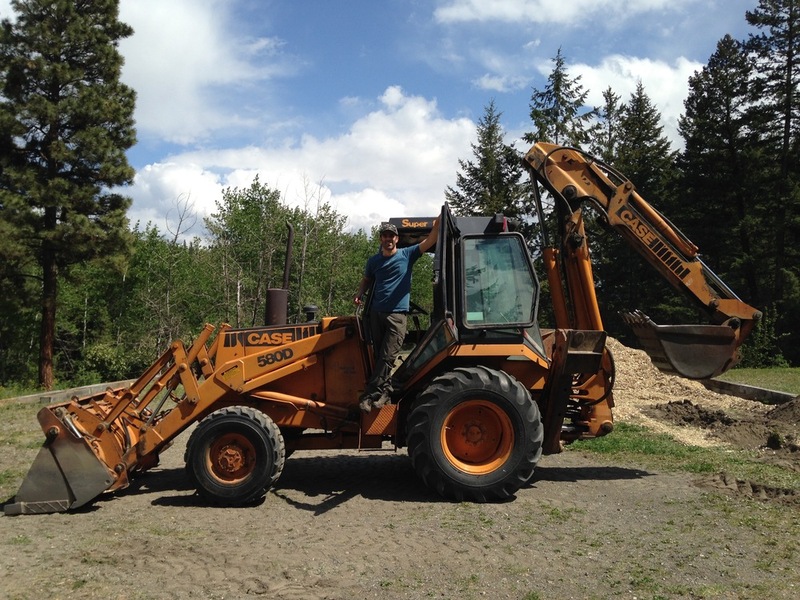 Prepping the site with Ananda Loka's new backhoe! August-October 2014 - Sculpting "Yoga Dome" site (before and after). 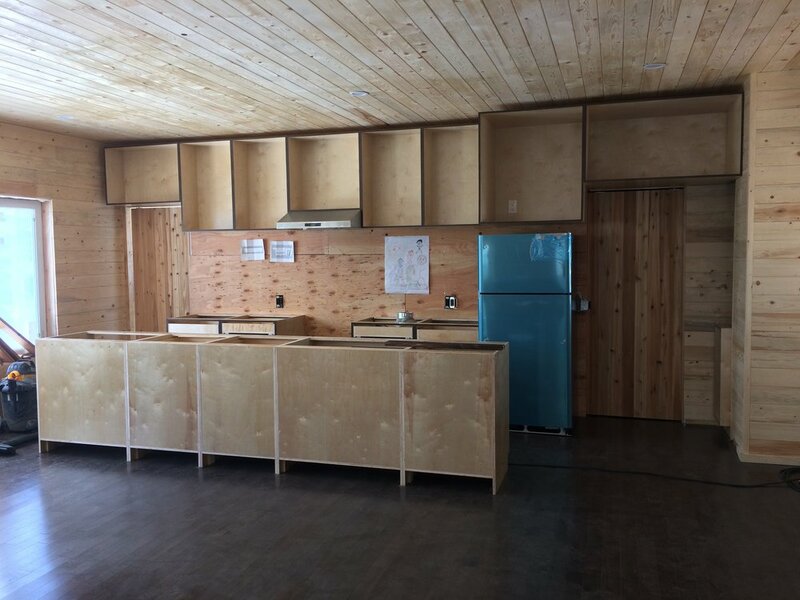 August 2014 - Cold storage interior construction with 3 ventilated chambers. July 2014 - Installed phase 1 of solar system. 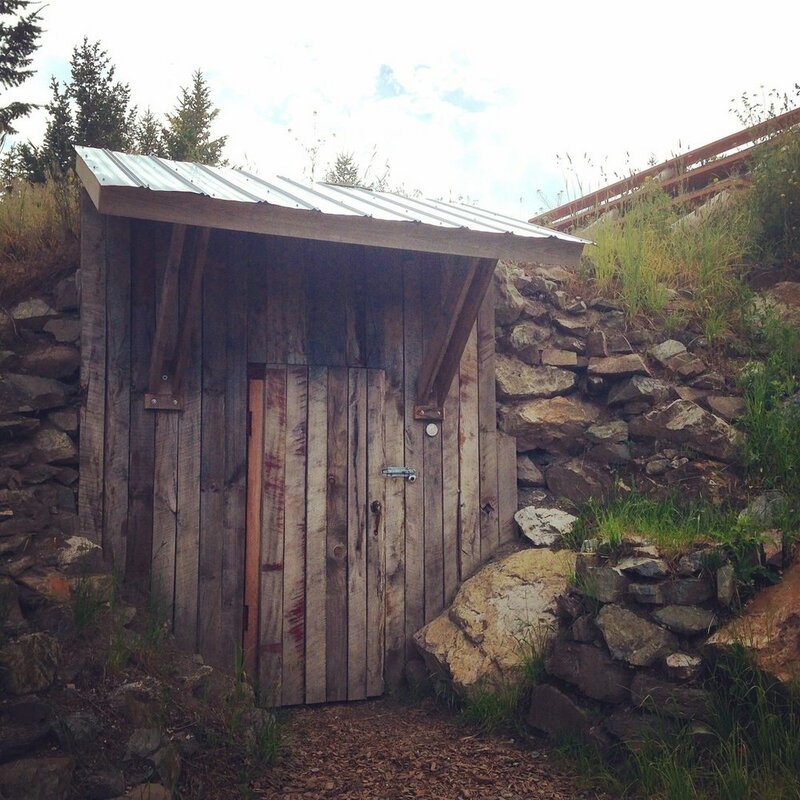 June 2014 - Built Ananda Loka's first outhouse aka 'terd tank'. June 2014 - Moved family into motor home at Ananda Loka, YAY! May 2014 - Completion of water development project, which provides water for Ananda Loka and 5 more village families. May 2014 - Ceremony of sacred number/planetary yantras. April 2014 - Dug trenches, installed plumbing and wiring. April 2014 - Burned debris from clearing and landscaping. January 2014 - Installed 8'x20' culvert for cold storage. January 2014 - Blasted mountain for rock and building site expansion. December 2013 - Spread grass and wildflower seeds. November 2013 - Started excavation, road building and site sculpting. October 2013 - Acquired 15 acres of raw land on a mountain side in Sharanagati Village, a 2000 acre organic farming community. August 2013 - Discovered future home of Ananda Loka. June 2013 - Moved to Bhumi Farm, Venables Valley, BC.